Remember Tsutenkaku, “the world’s biggest” robot? 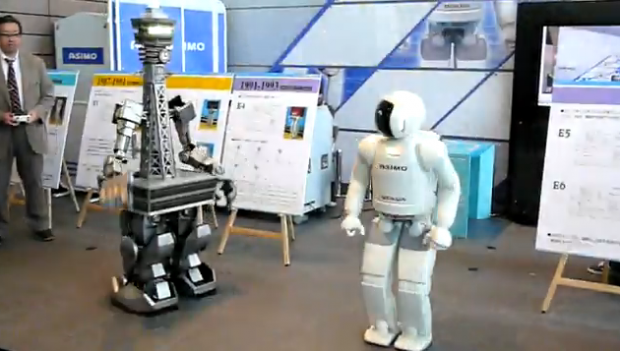 Tsutenkaku, basically a 170cm tall robot that looks like a city tower, recently made the journey from Osaka (where he was made and is supposed to attract tourists) from Tokyo. Needless to say, he first went to Akihabara, Tokyo’s robot geek paradise, and while he was there, Tsutenkaku met Honda’s famous humanoid Asimo, too. Tsutenkaku looks weird on pictures, but he’s actually much, much weirder on video.